Smoky, spicy, and savory, this collection has a delicious combination of flavors that pair perfectly. Original Dry Salami's rich flavor is deliciously complemented by the savory Smoked Cheddar Blend and spicy Jalapeño Cheddar Blend along with the subtle flavor and crunch of Olive Oil & Rosemary Crackers. 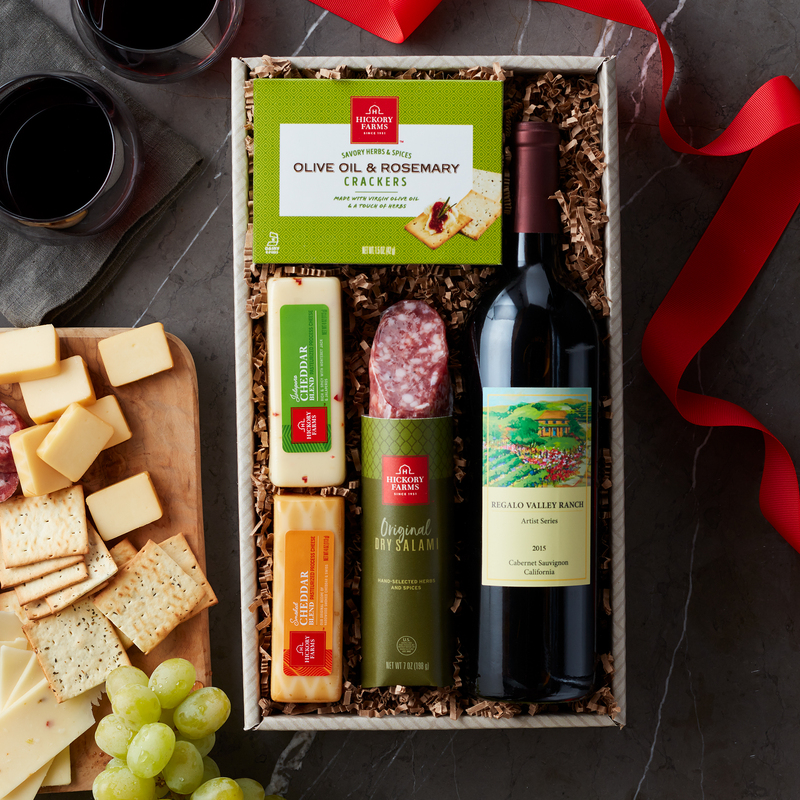 Serve with the Regalo Valley Cabernet Sauvignon for a sophisticated bite.